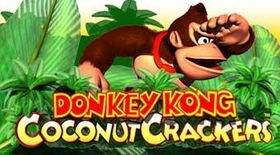 Donkey Kong Coconut Crackers is a cancelled puzzle game for the Game Boy Advance and a Donkey Kong spinoff title. The game was developed by Rare Ltd., and was originally planned for a November 2001 release date. It was likely postponed ahead of time due to the forthcoming acquisition from Microsoft in 2002. However, the game was eventually converted into It's Mr. Pants, released in late 2004. Some of the planned modes included various challenges around Donkey Kong Island, challenges from Cranky Kong, and a multiplayer mode. Coconut Crackers artwork makes a cameo in the original Foodfight! trailer (top-right). 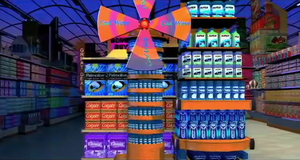 The main Coconut Crackers artwork made a cameo appearance in the original Foodfight! trailer. This page was last edited on February 23, 2019, at 13:27.